Quadrocopter receives one of the first DJI Matrice 200. 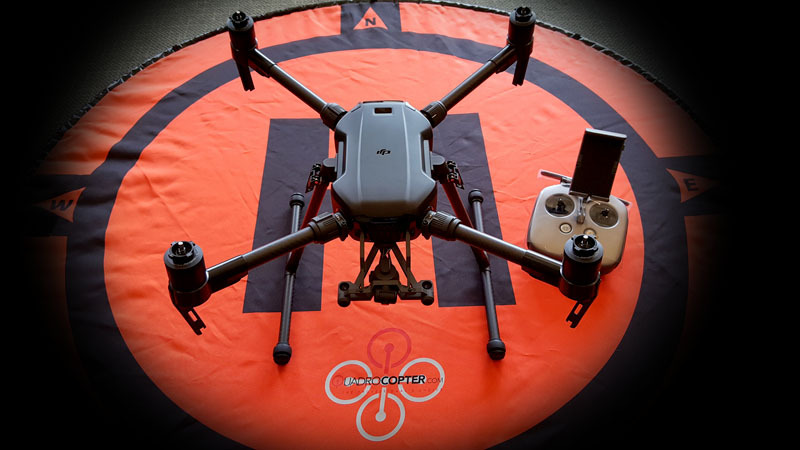 The Matrice 200 Ready to Fly system from Quadrocopter, comes with updated firmware, flown and tested by the professionals before sending it to the customer. Weather resistant, the DJI Matrice 200 is encapsulated in a robust housing keeping the flight controller and electronics safe from the elements. Tested in wind speeds of over 20 MPH, the M200 kept it's position in the air and hovered with ease. The upgraded motors from the Inspire 2, create a dull yet solid hum making it more powerful and quiet in the air.